Nothing is better on a very cold day than a hot, comforting, homemade bowl of soup or stew! It isn't quite cold here in Vegas yet, but trust me... it does get cold here! Maybe not as cold as the Northern states, but coming from a girl who has only lived in the South most of her life (well... except for the few years I lived in Colorado), it gets pretty darn cold in my opinion. Now... you don't have to have soup only on cold days, but it sure does help keep your body warm and toasty all the way down to your toesies! 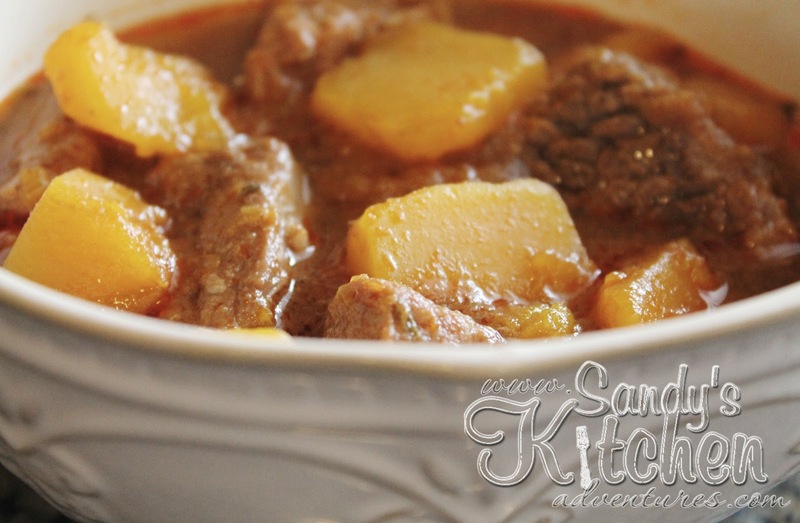 One of my favorite soups is a rich, hearty beef stew that is full of flavor. 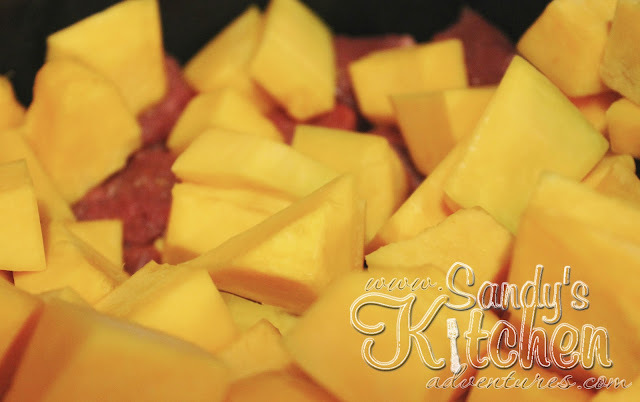 I love making my beef stew with lots of white potatoes, sweet potatoes, and carrots. 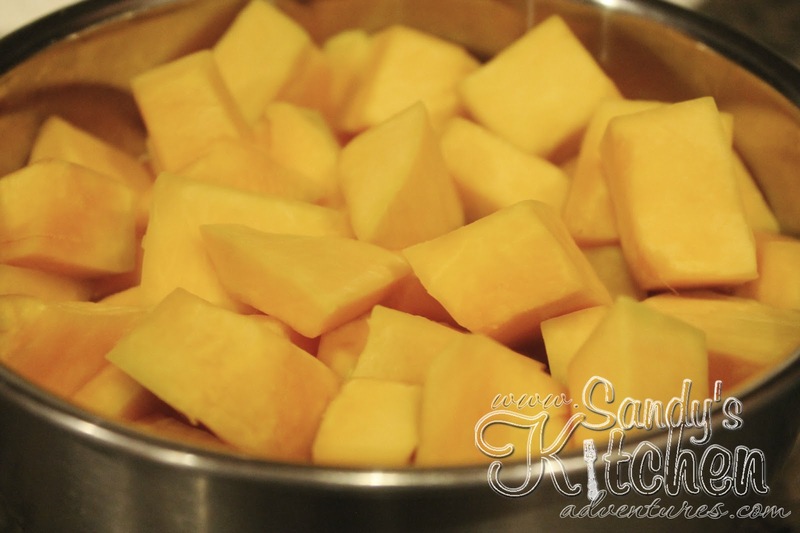 Those ingredients have a lot of carbs in large quantities so I decided to try kabocha squash instead of the starchier white and sweet potatoes. Kabocha squash is a winter squash, also commonly known as Japanese pumpkin. 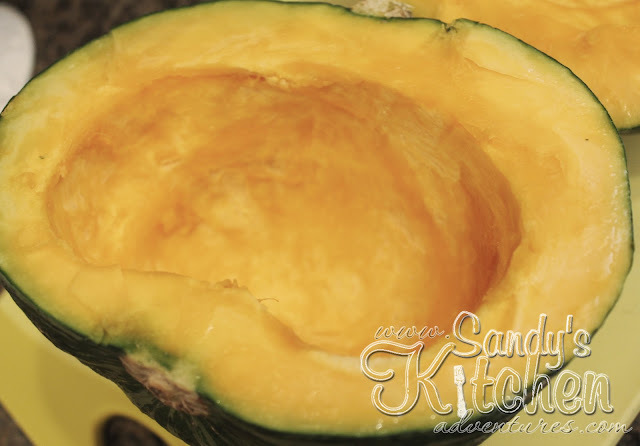 It has a deep, rich, sweet flavor with a fluffy chestnut texture . 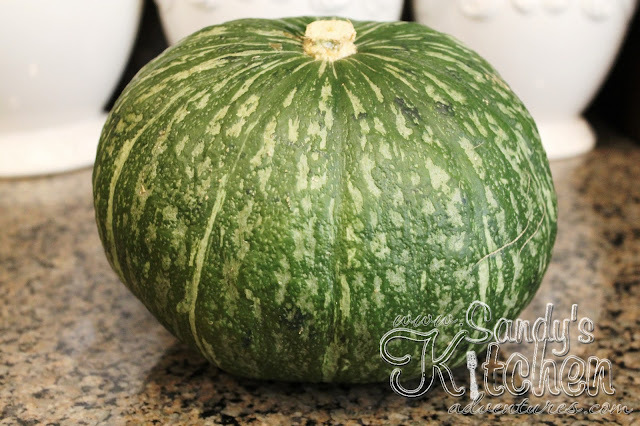 It is a cross between a pumpkin and sweet potato but it can also be compared to an acorn or butternut squash. I will not lie. Cutting into one of these suckers is not easy. It has hard thick skin that can be difficult to cut. I actually dread cutting these up because yes... I would like to keep my fingers. All 10 of them! 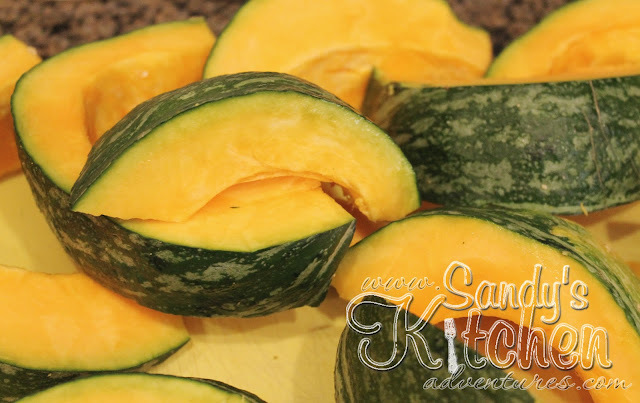 Cut the kabocha squash in half with a large sharp knife. 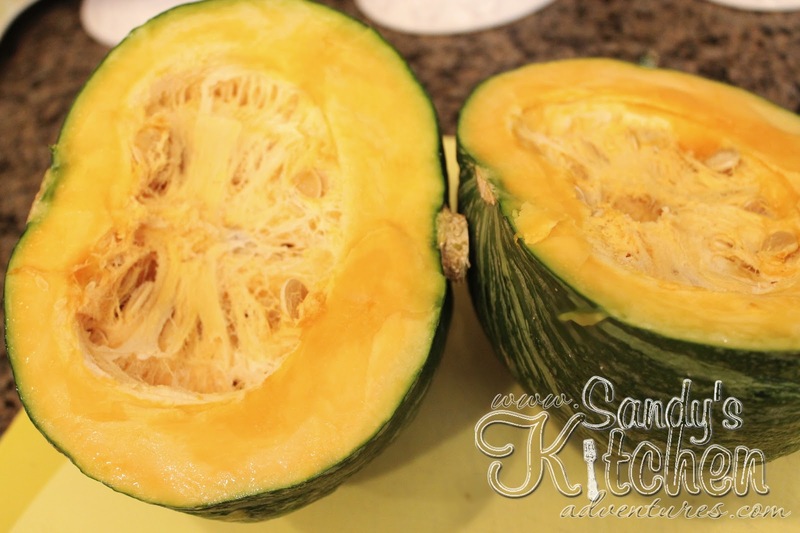 I stick the knife in the middle of the squash and work my way around until I have two parts. Once I have them cut in half, I scoop out the goop and seeds. I cut each half into 4 or 5 wedges. It really depends on how big your squash is and how big you want the wedges. Then laying each piece flat, I cut the skin off with a knife. Cut the peeled wedges into chunks. 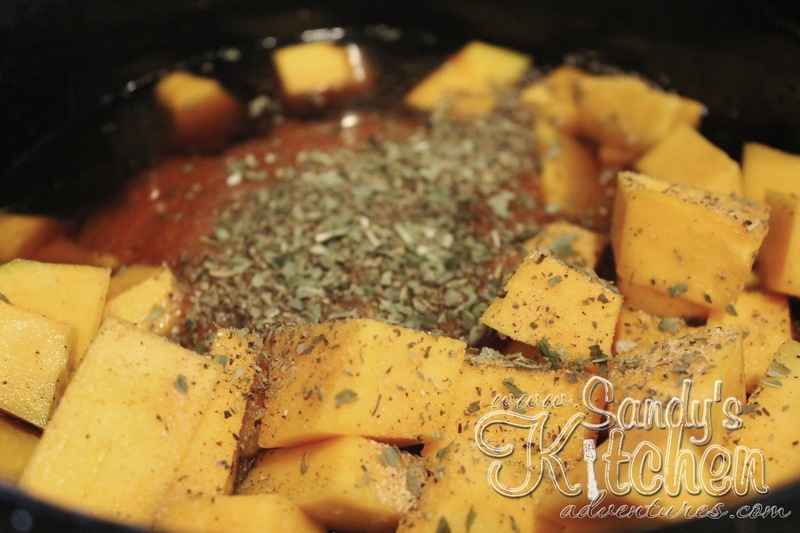 Add the beef stew meat and kabocha squash to a slow cooker. Then add marinara sauce. 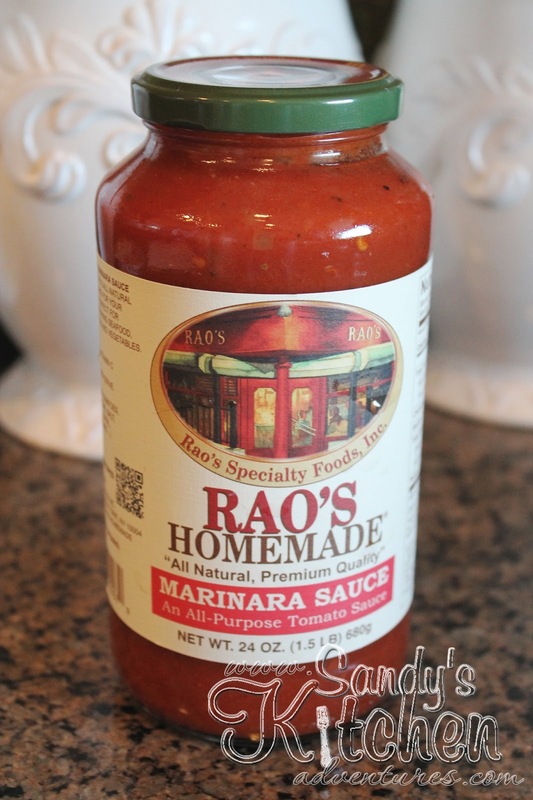 My favorite sauce to use is Rao's and it is Medifast friendly! I found it at Target and at my local military commissary, but I am sure you can find it at other places. 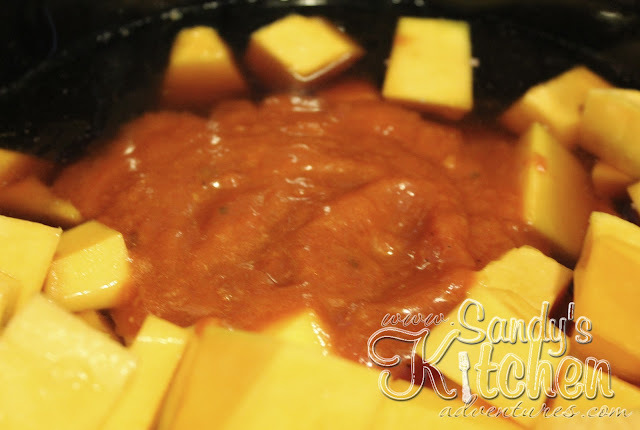 This sauce is delicious and only 4 grams of carbs per 1/2 cup! Although approved, this does provide more calories and sodium than other vegetable servings (lettuce, asparagus, broccoli, etc. ), so it may be beneficial to use this pasta sauce occasionally. Add your beef broth to the mixture. I chose to use 3 cups of broth and it was plenty of liquid for me. Some like more liquid in their stews. If that is the case, add 4 cups instead of 3 cups of beef broth. 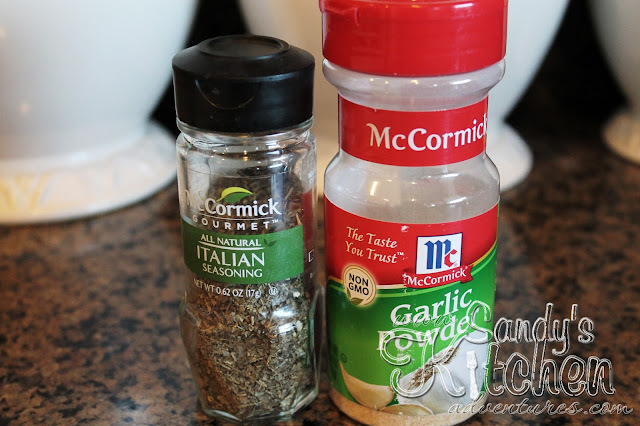 Add Italian seasoning, garlic powder, salt and pepper if desired. As you can tell, the marinara sauce and Italian seasoning will give this stew an Italian spin. 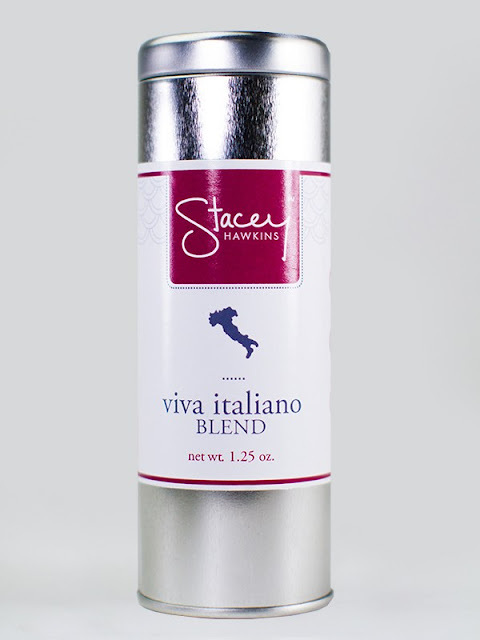 Another great spice to use in place of the Italian seasoning is Stacey Hawkins Viva Italiano Blend. It tastes delicious in tomato based soups such as this one! You can purchase this spice on Stacey's website, www.StaceyHawkinsShop.com. I need to order more because I am all out! Cook 7 hours on Low or 4 to 5 hours on High. That's it! 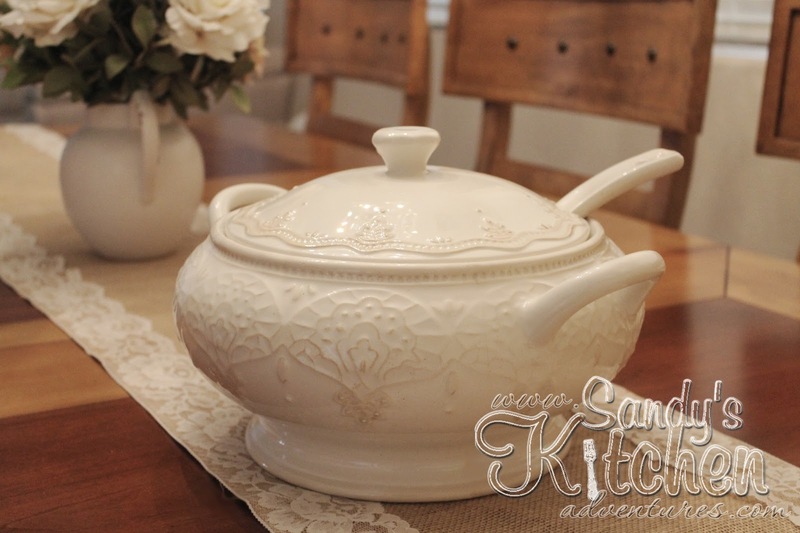 When you serve this beef stew to your family, they will think you slaved all day in the kitchen! That is why I love slow cooker recipes! You can have delicious meals without spending all day cooking! Enjoy! Salt and Pepper to taste, but don't forget to count them as Condiments! 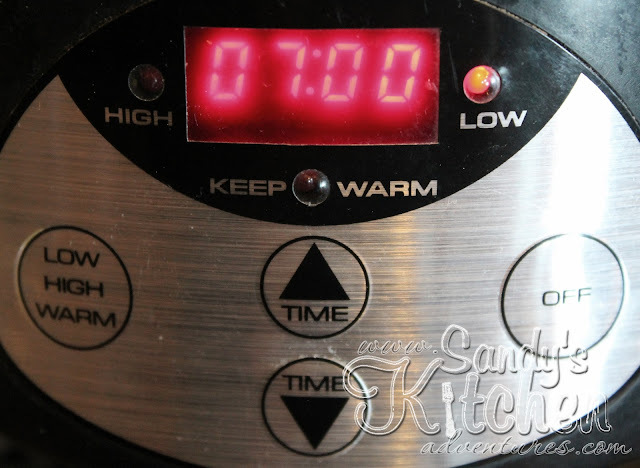 Cook on Low for 7 hours or High for 4 to 5 hours.